Copyright © Microfran 2010 - This image is copyrighted. Unauthorized reproduction prohibited. Field of view: 4x4mm Aprox. Prismatic Crystal of Armalcolite-Pseudobrookite series. 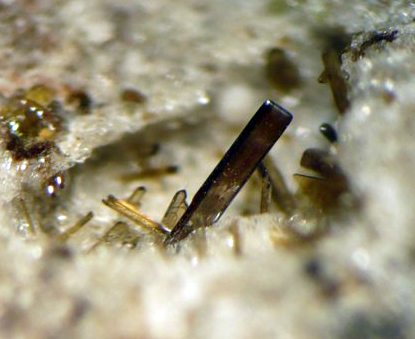 Minerals have been identified by SEM-EDS and XRD.